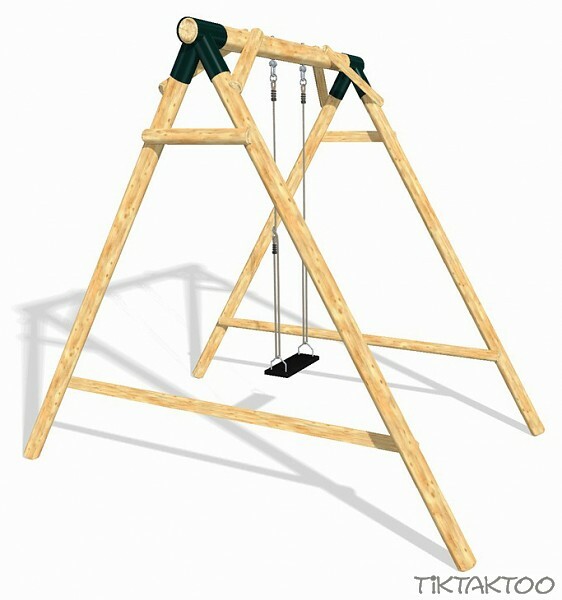 SWING Playground Set The LoggyLand Swing SWING does not need much space and is therefore also suitable for smaller private gardens. The massive 10cm and 12cm wooden palisades of the frame are made of European larch wood and guarantee optimum stability. The wood is delivered untreated and integrates perfectly into the natural environment. Thanks to its high resin content, larch wood is very resistant to the elements and can be installed outdoors without impregnation. This playground set includes a swings seat with metal insert and fastening ropes. 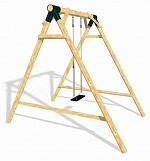 However, rings, harnesses or the like can also be fastened. 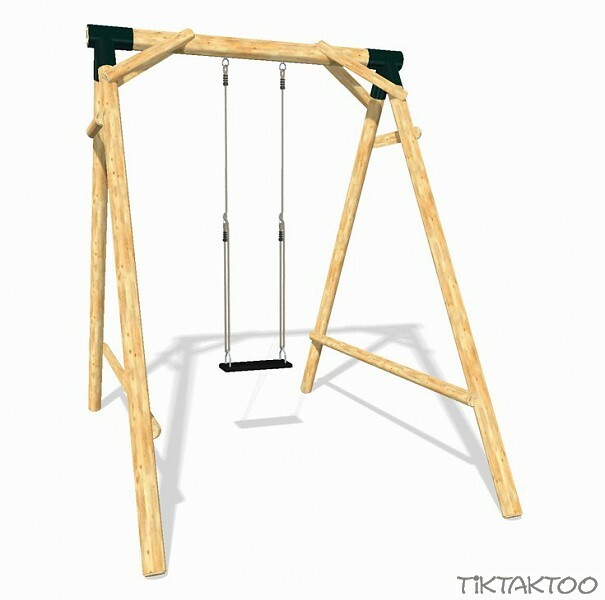 The LoggyLand Playground Set SWING complies with the safety regulations for private playgrounds according to DIN EN 71-8. Do not forget to order the right floor anchoring!